Enterprise architecture is not a goal, but an essential instrument to improve communication, alignment and cooperation between business and IT. This workshop will show you that building an EA involves a lot of communication with business responsibles about e.g. strategy, mission and vision, ...; with domain and business experts about business initiatives, products and services; with business process experts about business operations; with HR about roles and responsibilities; with IT about systems, applications, networks, databases, etc; without forgetting cross-cutting experts in security, governance, business continuity, standardisation and innovation. Building an EA is not a simple task and it obviously takes more than 4 days, but we will show you what is involved, the tips and tricks to do it better and faster, and how you can tackle some of the problems and caveats that you will undoubtably encounter. 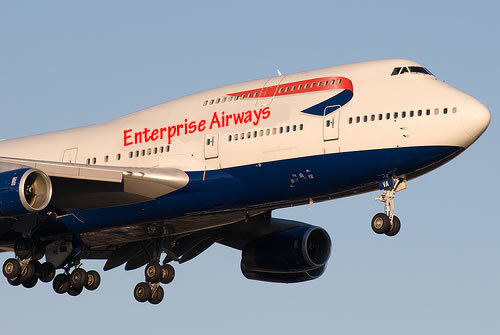 Imagine yourself as a member of the enterprise architecture team of the large airline company of "Enterprise Airways" (EA). Airline companies are operating in a highly competitive and ever-changing market, with very demanding customers and strict regulations by governments, the FAA, etc. This workshop will teach you how to apply enterprise architecture concepts through a class-wide architecture project that develops a web-based EA repository and integrated set of basic EA artifacts. These artifacts will document/model strategic initiatives and measures; business requirements for processes and services; and supporting technology solutions including information systems, applications, databases, websites, networks, security, and standards. The course will also cover best practices to develop EA artifacts in a manner that promotes linkage between the strategic, business, and technology. After all, EA = S + B + T.
This workshop is very practical and guides you through the process of constructing & finding many artifacts of your current as-is architecture. Day 4: Where do you go from here ? Why should you attend this practical enterprise architecture workshop ? At the end of the 4-day "Applied Enterprise Architecture Concepts" workshop, participants will receive an attendance certificate issued by I.T. Works and EA Fellows. Who should attend this practical enteprise architecture workshop ?